The village will include a variety of housing for all ages, incomes, and family circumstances, centred on a newly invigorated, walkable Maplewood Village Centre. Commercial streets will be lined with new retail businesses, and become a key focus of pedestrian activity. The village will also provide convenient access to transit, and pedestrians will enjoy an extensive system of trails connecting the community to the Seymour River, to local parks, and to other key destinations. There are no upcoming public meetings or hearings for development permit applications in Maplewood at this time. To achieve the vision for Maplewood, the plan divides the area into three precincts, each with its own unique purpose, character, and identity: 1. Maplewood Village Centre; 2. Maplewood North Innovation District; 3. Dollarton Highway South. The plan will provide for a diversity of housing types to accommodate all ages, incomes, and family circumstances, including townhouses, co-housing, fee simple row housing, lock-off suites, apartment units, live/work and other innovative forms of housing. Non-market housing is encouraged in Maplewood Village Centre as well as in the Innovation District. A minimum of 300 net new non-market housing units are targeted for the Village Centre. A portion of the roughly 900 residential units anticipated in the Innovation District should be comprised of a mix of non-market rental and below-market ownership. Maplewood has an evolving village heart between Old Dollarton Road and Dollarton Highway, west of Riverside Drive. The plan aims to further enhance the village heart as a vibrant, pedestrian-friendly area with a mix of residential, retail, and community uses. The Maplewood Village Centre Community Needs Assessment (2017) provides a summary of needed community amenity spaces in Maplewood to serve its growing population. Maplewood streets should safely accommodate everyone — people walking, cycling, taking transit, or driving — for a range of uses (such as access to businesses or to accommodate deliveries). Maplewood has significant amounts of green space and several environmentally sensitive features, which the plan will protect and enhance. Some lands previously used for industrial uses will be restored and wetlands enhanced through improved water flows. This plan aims to expand the parks and recreation system to accommodate the expected population and employment growth in the area. We held a two-day design charrette for stakeholders, which ended with a public open house for the community. We held a public workshop to kick off the planning process. Community members joined us at Kenneth Gordon School to share their ideas and help shape the future of the Maplewood area. Review a summary of everything that we heard during the community and stakeholder workshops and phone interviews conducted in May-July of 2016. We held a public hearing to update the Official Community Plan (OCP) with the newly approved Maplewood Village policy and land uses. Review the staff presentation and bylaw information from the hearing in the Documents tab. At their regular meeting, Council voted to approve the draft Maplewood Village Centre and Innovation District Implementation Plan & Design Guidelines. This plan will lead to a compact, complete, connected and energy-efficient community that will provide residents with the opportunity to live, work, play, learn, and create within their community. View the complete Plan in the Documents tab. The final Plan document is available in the Documents tab. Staff met with Council to inform them of the results of our June and July 2017 (Phase III) public engagement efforts, outline key components of the draft plan, and illustrate how the draft plan reflects the feedback we received through the public process. View the staff presentation to Council and the staff report in the Documents tab. 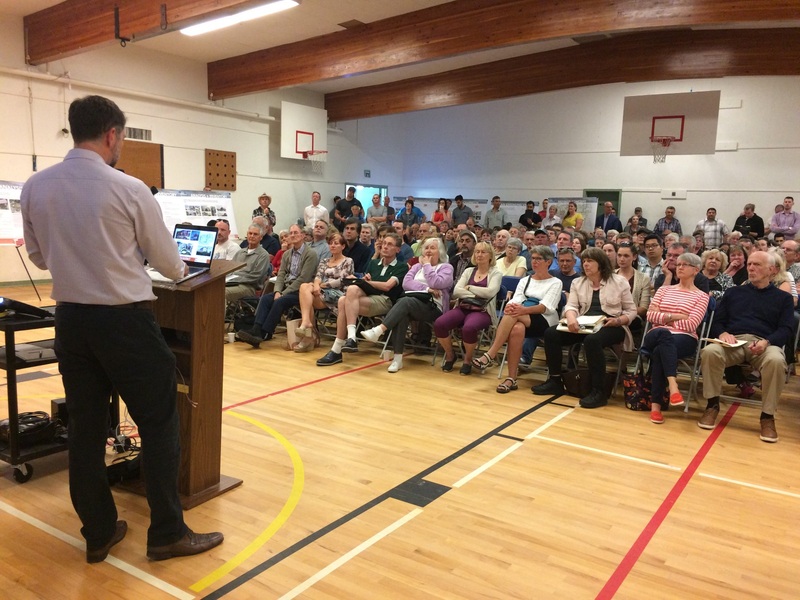 For those people who did not attend the June 21, 2017 public open house, we made all of the open house materials and an online survey available on our website, so everyone could share their thoughts. We will report back on what we heard once the information has been compiled and reviewed. 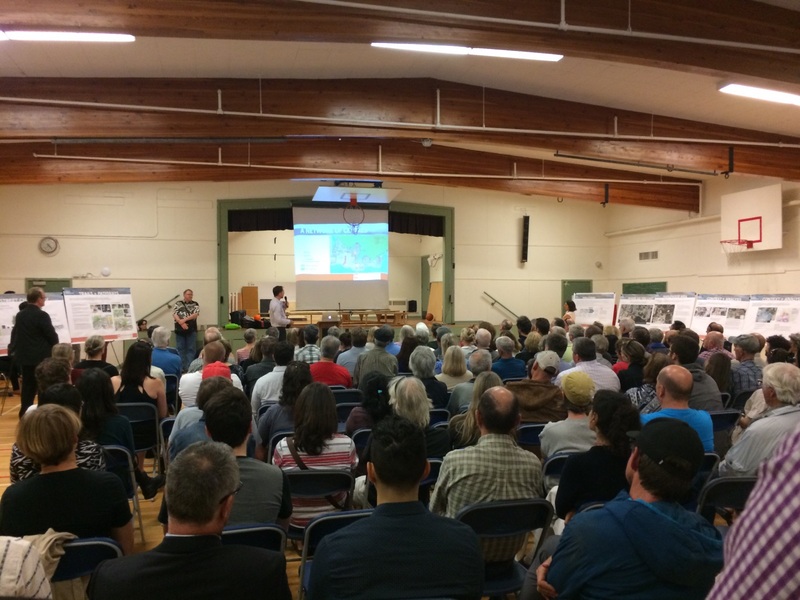 Our full report from the community stakeholder design charrette we held on October 18 and 19 was made available to the public. It contains a complete record of the two-day charrette process, along with the outcomes. You can download a copy in the 'Policies, reports, public input' tab. For those residents who were unable to attend our October 19 public open house — where we shared the preliminary design ideas from our intensive design workshop with the community and got everyone's feedback — we gathered feedback using an online questionnaire. We held a public open house for members of the community to view the results of the October 18-19 community stakeholder group design charrette. You can view the materials from the open house in the Documents tab. ​We held a two-day collaborative design workshop (called a charrette) with members of local community groups, non-profit organizations, and businesses, where we developed, discussed, and tested preliminary ideas for land use and network concepts for the Maplewood area. Charrettes do not produce a final plan; they establish fundamental directions and early concepts for further development and refinement. A summary report of everything that we heard during the community and stakeholder workshops and phone interviews conducted in May-July is now available in the Documents tab of this web page. Staff met with Council to update them on community and stakeholder engagement, ongoing technical reviews, and next steps for the planning process. You can view the staff report to Council, along with their presentation, in the Documents tab. We made an online questionnaire available so people could share their ideas about the future of Maplewood. It included the information that we presented at the April 20 community workshop. The questionnaire was available from Thursday, April 21 (the day after the workshop) until Friday, May 6. We held a public workshop to get the planning process started. Community members joined as at Kenneth Gordon School to share their ideas and help shape the future for the Maplewood area. Council directed staff to start a planning process for the Maplewood area. This includes Maplewood Village Centre, the light industrial and business area south of Dollarton Highway and the Maplewood North lands located east of the Village Centre.